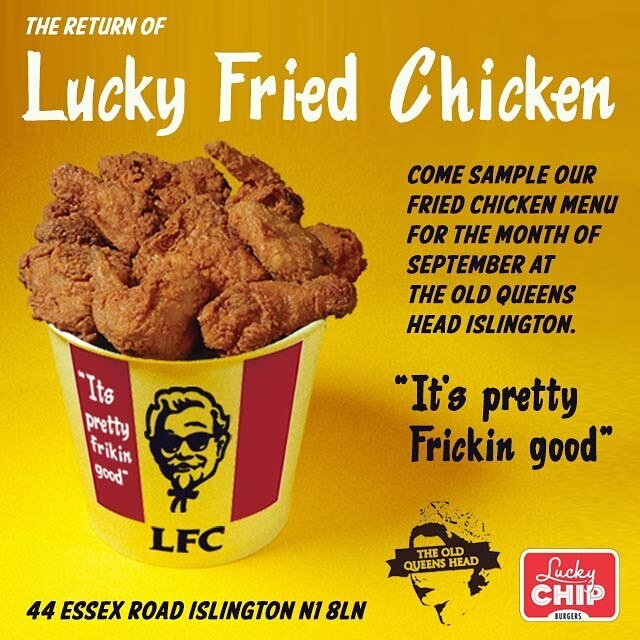 Lucky Fried Chicken, Lucky Chip's chicken menu, originally made an appearance in 2013 - see my original listing here - and is being brought back, together with bucket packaging, for September 2017 only at The Old Queen's Head at 44 Essex Road, Islington, just up from Islington Green. 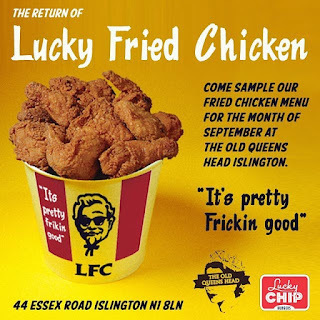 It was delicious back in 2013, and I'm looking forward to trying it again. Open daily, including from noon at the weekends.